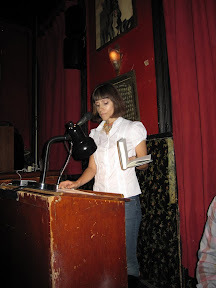 The KGB Bar overflowed with folks to hear Lauren McLaughlin read from her upcoming novel Scored. 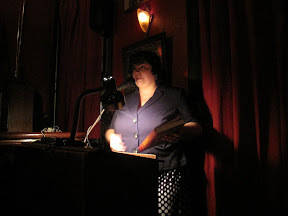 And Holly Black read her story, “Everything Amiable and Obliging,” from the anthology Steampunk! Ellen was off sailing down the Danube so I took a few photos, which can be viewed here.